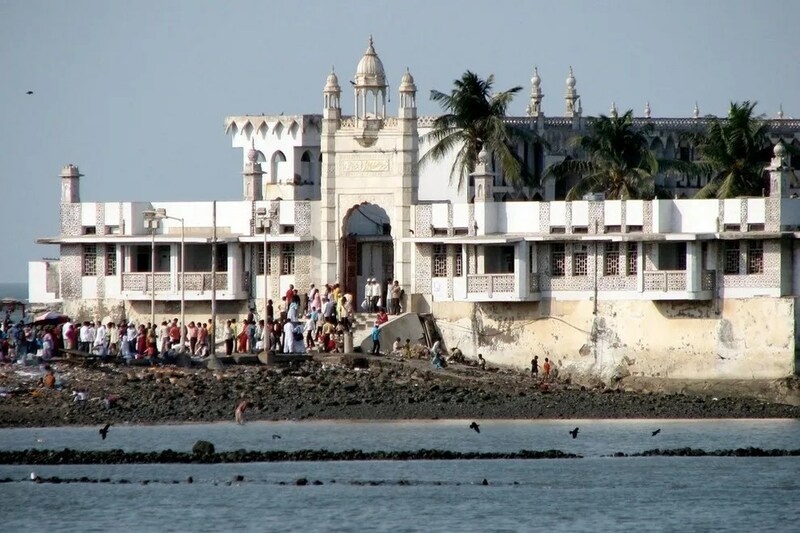 The most popular religious place in Mumbai is Haji Ali Dargah. We can see that Haji Ali Dargah is a prestigious landmark situated about 500 yards from shoreline of middle of the Arabian Sea off Lala Lajpatrai Marg. We have a tomb of the Muslim Saint Pir Haji Ali Shah Bukhari (R.A.) in Haji Ali Dargah. We can also see a Masjid. It is an output of the Mughal architecture with white domes. As a specialty of this Dargah Non-Muslims are also allowed to visit the Dargah. The visitors of this Dargah increases day by day for about 10-15 thousand people daily. Double the amount of visitors gets increased on Thursdays, Fridays and Sundays. There are no restrictions of caste, creed and religion from all parts of the world to visit this Dargah. The Death Anniversary of Pir Haji Shah Bukhari falls on 16th of Rabi-ul-Aakhir. On this day all the necessary rituals as per their Islamic traditions takes place and the Food, sweets are been distributed to the visitors and fakirs. 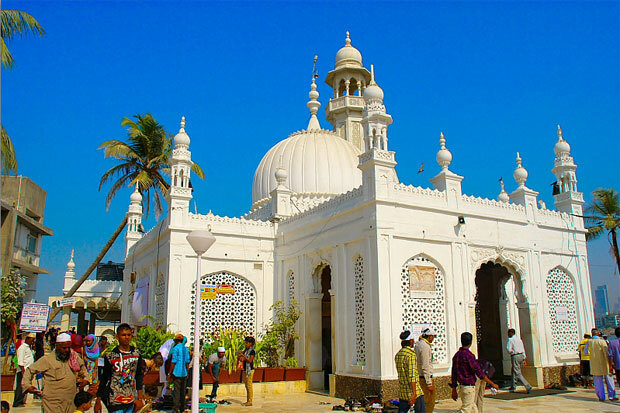 A separate team haven taken incharge as trustees of Haji Ali Dargah Trust who take part in providing all the facilities to the visitors or the devotees of Haji Dargah. They have provision for online donations through Master Card ATM’s in which this amount are been used for welfare of the devotees.